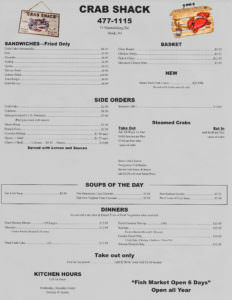 The Crab Shack Menu. 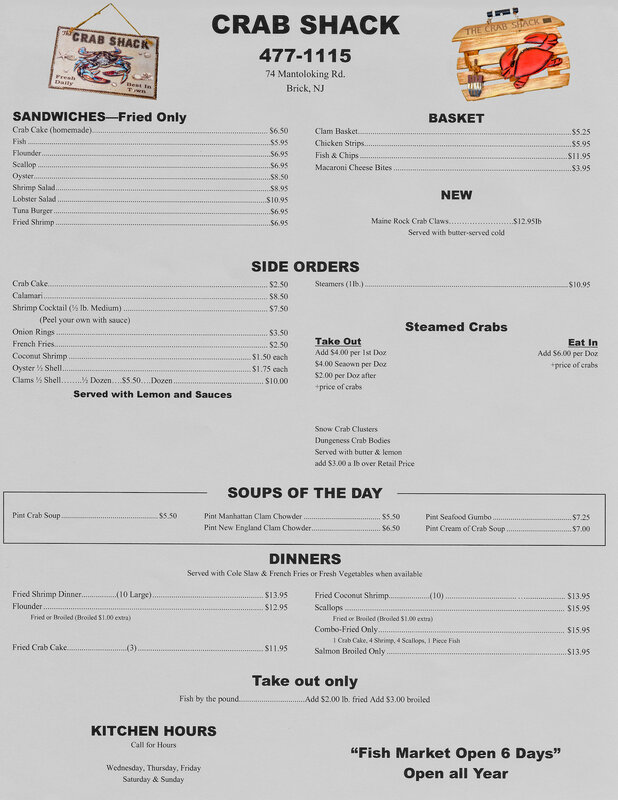 Crab Shack Menu. Brick NJ. Jersey Shore Seafood.